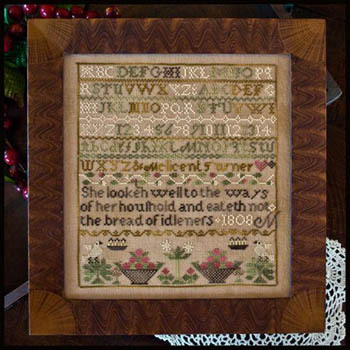 This project is stitched with Classic Colorworks Belle Soie silks, but cotton hand-dye and DMC conversions are given. Stitch count: 132 x 144. Finished on 30ct: 8.75" x 9.5"
Quick Add is available on this product (see below). You will need TWO FAT of the fabric for this project. Please adjust the value in the cart after adding it.